You’re invited to an all-inclusive retreat where YOU are the focus. It’s time to step away from your busy schedule to commit to your own personal & spiritual growth. 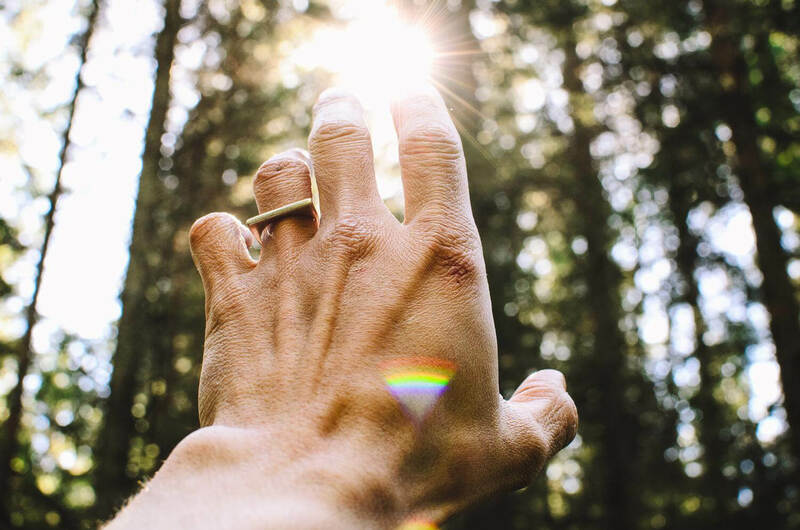 Whatever you believe, whatever you hold sacred, this retreat puts YOU at the center of it all. The guided workshops will be broken down into the 3 main categories that create your wholeness – Your Mind, Your Body, and Your Spirit. We believe that when your Whole Self is fully integrated and prioritized, you will live a more authentic and exciting life. 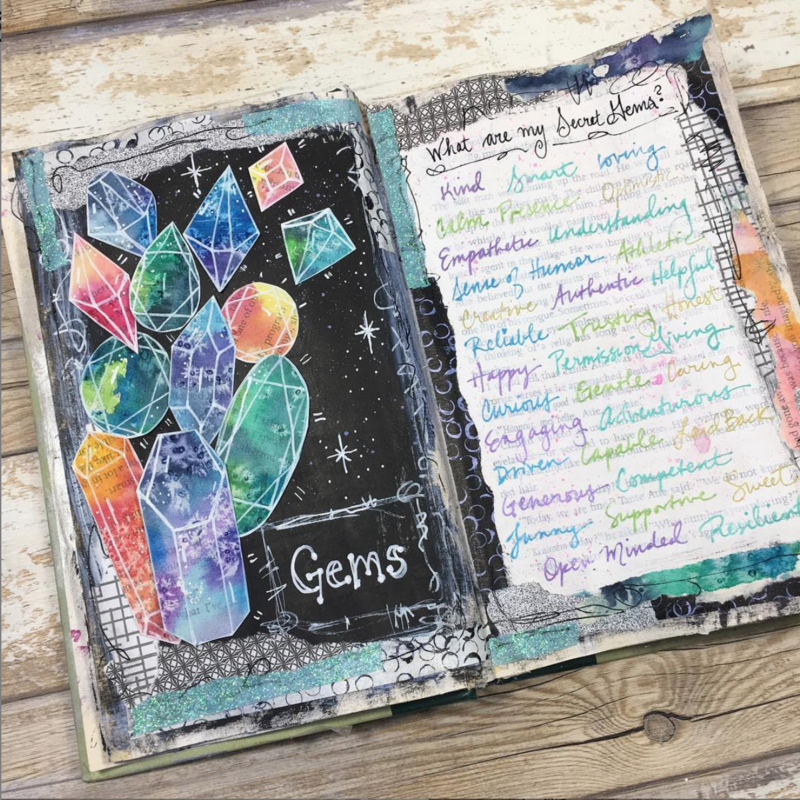 Using creativity, journaling, and mindfulness activities throughout the weekend, we will explore fun & powerful ways to connect with your intuition and release your fears, so you can live your life with more purpose, clarity and confidence. Your dreams and desires are possible when you have the courage to embody all of who you came to be, and we can’t wait to walk this journey with you. 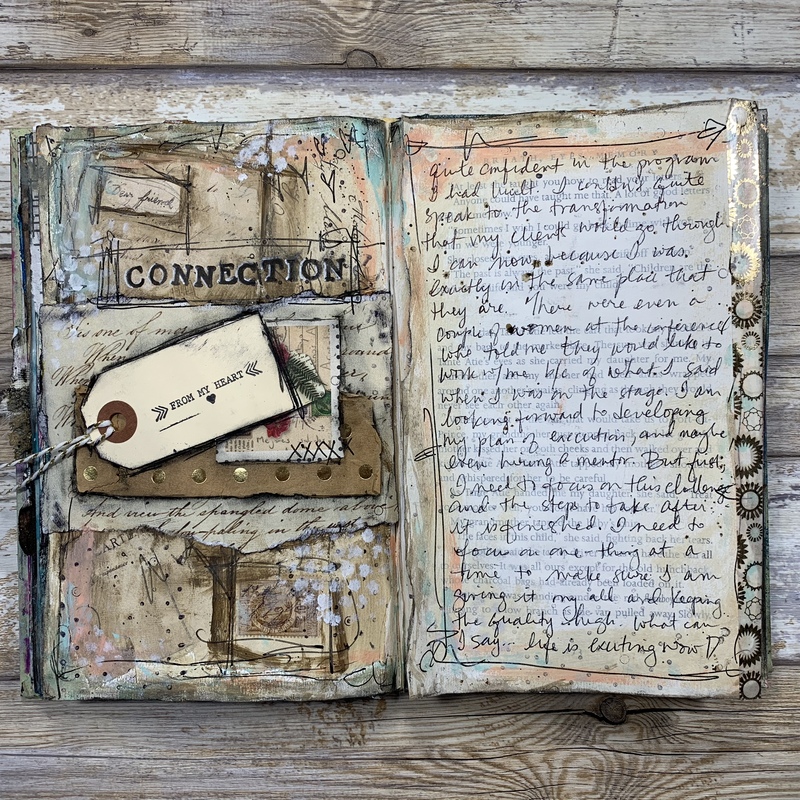 Combining the process of making art with journaling is a powerful experience. The best part is that you don’t need have an artistic bone in your body to do it! You will learn about creativity and about yourself at the same time. It really is a combination like no other, and we can’t wait to show you why we love it! 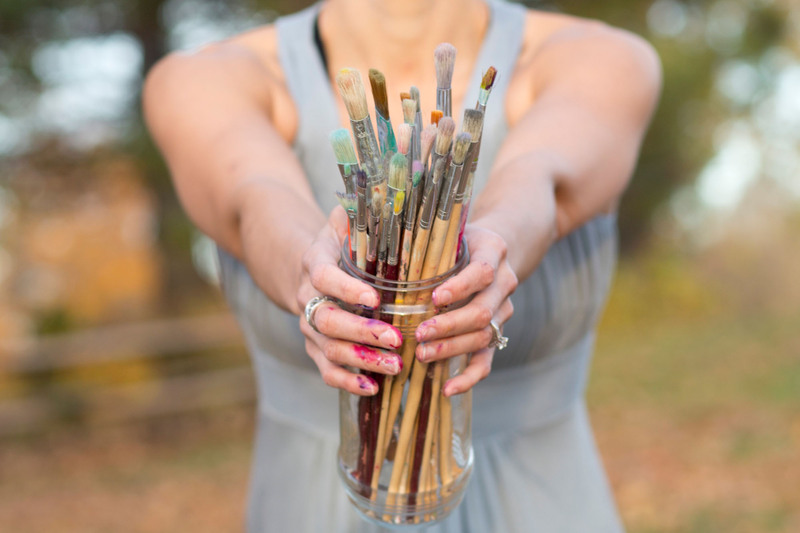 Your Intuitive Painting Retreat was a creative journey for me. I learned new techniques, used new materials and tools, met brave and fascinating women. You provided a safe, warm and intimate environment to explore my inner mythos on canvas. Everything from having tea and coffee available, a lovely lunch, grounding rituals, and an array of mediums and tools to work with made it an unforgettable experience. Two days went by so fast. I found so many things come up during the the workshop. 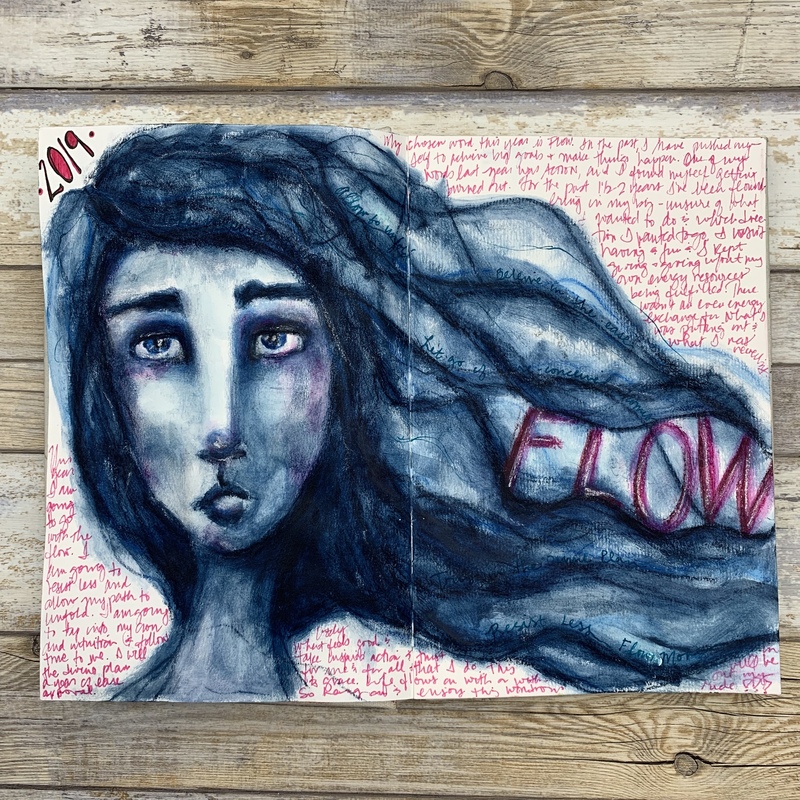 Including art in the process before journaling is magical. It allows one to be with whatever is coming up, but because you keep moving on with your art project, you are able to move through and process what is coming up without staying stuck! Thanks Lulu Bea for introducing us to this magical process!!! Thank you Lulu and everyone for this amazing group, and for helping us to explore our creativity and learn to let-go. With the help of letting go while painting, we can bring those principles to our daily life and become more calm, relaxed and happy. Coming to your workshop was a safe place for myself. I let myself loose and was able to share things form past, and I was able to use my creativity to just feel happy, balanced and secure. Anytime I have been with you and have talked to you, I have felt empowered… you have this energy and aura about you… I feel energized, free, and super passionate around you. You are amazing, and you are very caring, down to earth and ever so inspiring. Lulu Bea I’m so grateful for all that you do and all that I’ve learned from you. 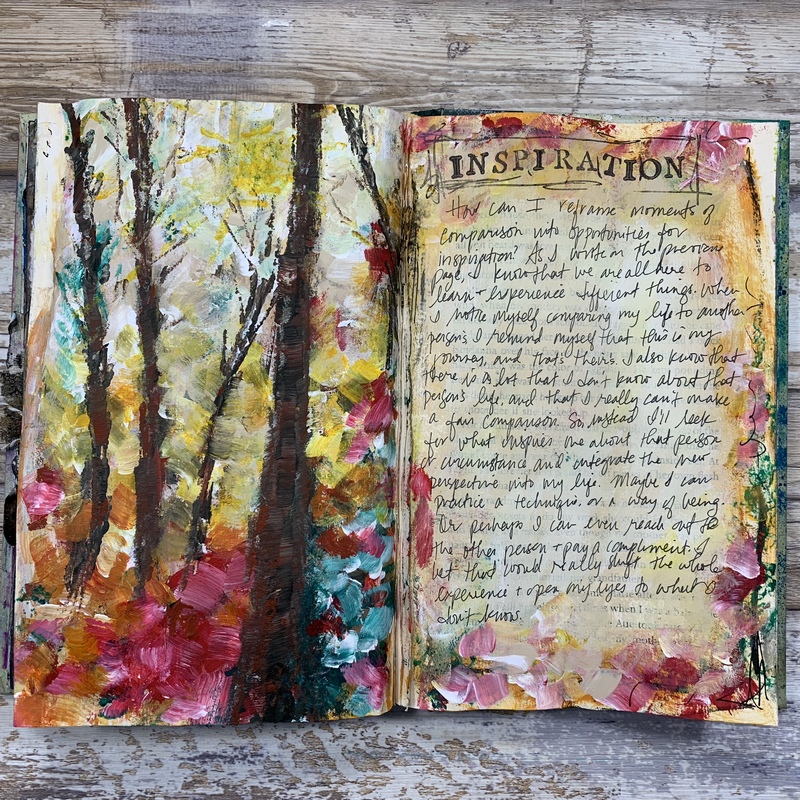 You’ve made this art journaling thing doable. I’ve learned so many techniques while working on this Soul Journey workshop. You are an angelic spirit. The retreat will take place at The Vintage Porch in Shakopee, MN. The exact address will be emailed upon registration. The retreat home sleeps 12, has a full kitchen, and a large craft room with access to additional crafting materials. Guests will share a bedroom with 1 – 3 other guests. For out of town guests, please fly into MSP airport and transportation to the retreat house will be arranged. Guests can check-in anytime after 1pm on Friday, May 3, and use the time to unwind, set-up your work table and visit with fellow retreat guests. Our retreat will begin Friday night with a dinner at 6pm, followed by our opening circle and a dance + paint party. Saturday’s workshops will take place between the hours of 10am – 5:30pm, with optional open studio time before and after. Sunday’s workshops will take place between 10am – 3pm. Guests are free to stay until 5pm. The retreat is limited to 11 participants to ensure comfortable accommodations and to foster a close-knit community of soul sisters. Each participant will be invited to a private facebook group to facilitate connections before + after the retreat. All meals are included in the retreat. This includes dinner on Friday + Saturday, breakfast on Saturday + Sunday, and lunch on Saturday + Sunday. Every effort will be used to accommodate special dietary restrictions & preferences. Healthy snacks + drinks will also be provided for in-between meal times. There are no refunds for this retreat unless we are able to fill your spot. A $50 cancellation fee will be applied should we find a replacement for your spot. Registration has closed! Join the mailing list to be notified for Lulu’s next retreat. Retreats are first announced to those who signed up for Lulu’s newsletter. If you’d like to be the first to know about upcoming retreats, please join below! * If you prefer not to bring these basic supplies, we can buy them for you for an additional $35 supplies fee. Lulu is a Life Igniter + Creative Life and Business Mentor. She believes that we are all born to create a life of our own design, and to have some damn fun while we do it. 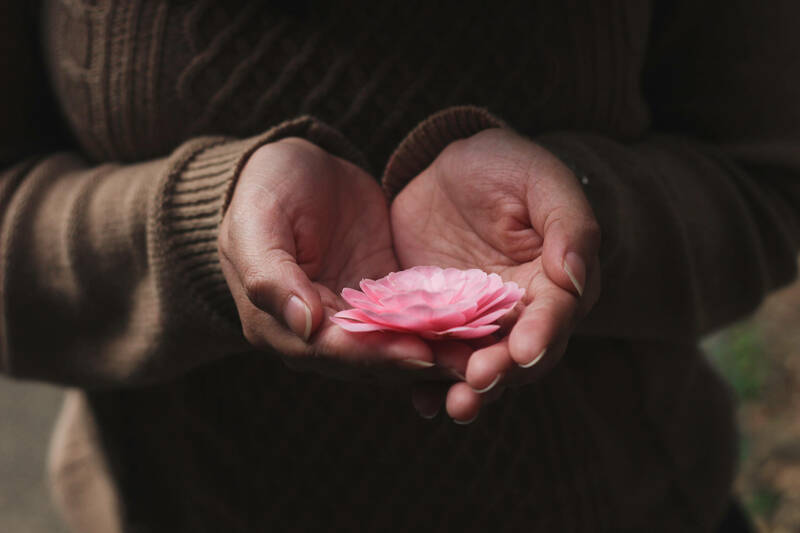 Lulu helps women to commit to their own happiness and connect to their creative intuition, so they have the confidence and clarity they need to share their gifts and make a difference in the world. Lulu is passionate about helping women prioritize joy in their lives. As a mother of 4 children, she knows just how important it is to take care of yourself in order to show up better for others. She feels strongly that we are all here to both teach and learn, and there’s nothing more powerful than teaching through example. ~ In addition to your basic art supplies, please bring a bath towel (one can be provided for you upon request) and any other toiletries that you prefer to use. You will be emailed the supplies list & other relevant information prior to the retreat. Q: What if I have special dietary preferences or restrictions? ~ We will make every effort to accommodate your dietary needs. Please let us know at least 2 weeks prior to the retreat what you require. Q: What if I can’t make it to the retreat and need to cancel? ~ There are no refunds for the retreat once you register unless we are able to fill your spot. If we fill your spot, there will be a $50 cancellation fee deducted from your refund. Q: What if I am not creative? ~ Being creative is an innate gift that we all possess. You do not need to know how to draw a straight line in order to tap into your creative wisdom. All of the workshop activities are for novice and experienced creatives alike. Q: Will there be a workshop only option for people who live locally? ~ We feel that immersing yourself into the retreat environment by distancing yourself from your obligations and clearing your calendar is vitally important to the unwinding and tapping-in process. Therefore, we will not be offering a workshop only option. Registration has closed! Join the mailing list to be notified about Lulu’s next retreat. There’s nothing like coming together in community.